Facebook has announced new changes today to stop the spread of fake news. The first one replaces Disputed Flags with Related Articles under the News Feed. The second change will help the company understand how its users consider accurate information based on their news sources. Critics have been pushing internet giants to fight fake news more rigidly on their platforms. They saw how troll farms used Facebook to spread false information for profit or change the public opinion on politicians and government policies, among others. Fake news pressingly became a hot issue during the US presidential elections. The US congress called on Facebook, Google and Twitter to explain how Russian-backed trolls influenced national politics on their platforms. 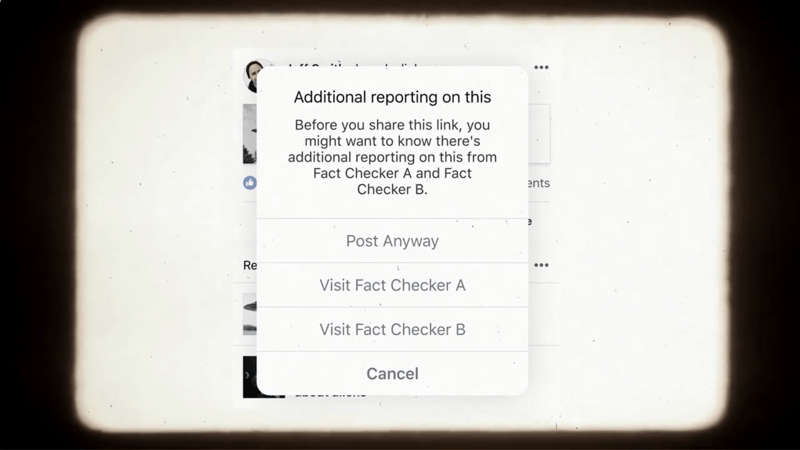 A year ago, Facebook fought fake news by changing how it reports articles and partnering with third-party fact checkers. It added Disputed Flags to alert users when fact checkers identify an article as fake news. The company also began to demote fake news links, even if it means losing 80 percent of its traffic. Now, Facebook says you will no longer see Disputed Flags in your News Feed. These flags are the red badges found under articles flagged by Facebook’s fact checkers. In its place, Related Articles will appear, showing links to content from Facebook’s verified, reputable publishers. Facebook product manager Tessa Lyons said they replaced Disputed Flags with Related Articles due to studies about correcting misinformation and reinforcing beliefs. Academic research on correcting misinformation has shown that putting a strong image, like a red flag, next to an article may actually entrench deeply held beliefs—the opposite effect to what we intended,” Lyons wrote. “Related Articles, by contrast, are simply designed to give more context, which our research has shown is a more effective way to help people get to the facts. Indeed, we’ve found that when we show Related Articles next to a false news story, it leads to fewer shares than when the Disputed Flag is shown. Related Articles are the links displayed on News Feeds after you read an article. Facebook created it to boost user engagement and stop memes from flooding News Feeds by pushing content from reputable publishers. In April this year, the social network tests showed Related Articles before trending topics will push for easy access to further information and perspectives. In the past year, Facebook’s anti-fake news team conducted a global research on how misinformation spreads in various contexts and how people react to warning signs about fake news. The culmination of the research found that Disputed Flags needs improvement. 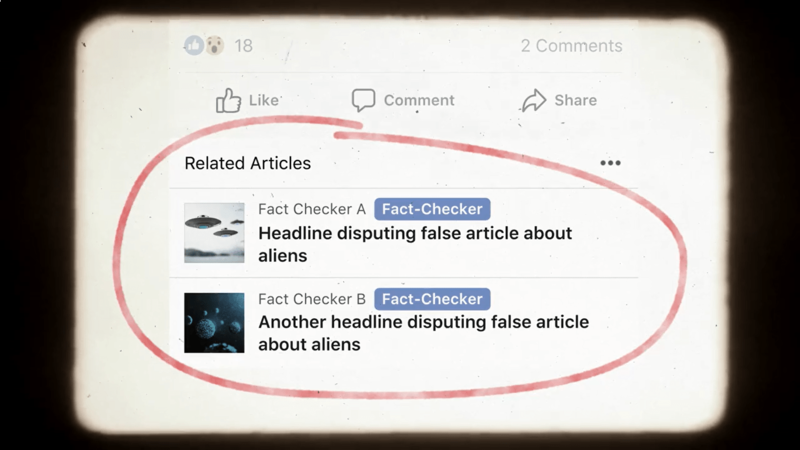 Facebook users want to know immediately why fact checkers dispute an article, avoiding the extra click for further information. Strong indicators such as red flags sometimes fail by reinforcing beliefs, even after marking articles as fake news. Facebook applied Disputed Flags on articles after two third-party fact checkers found it was false. It sometimes takes time to review articles, especially in countries with only a handful of fact checkers. Fact checkers rated articles on different scales such as false, partly false, unproven or true. A Disputed Flag does not show these in context. And sometimes, two fact checkers have conflicting conclusions about an article’s credibility. Related Articles addresses all the Disputed Flag issues by easily showing more context. It requires only one fact checker for review. And it works on articles with different ratings from different organizations. While Related Articles will not significantly change clickthrough rate, Facebook’s anti-fake news team says this translates to less shares. They said that users will also see badges identifying the fact checkers who reviewed the article.